Pouring beer is more than getting the liquid from one vessel to another: it’s an art form, as well as a science that has its own methodologies, constants, and variables. First of all, you have to know what you are drinking. According to Schneider – owner of German bar and restaurant Zum Schneider in New York’s Alphabet City, and expert pourer and drinker of beer – how you pour your beer depends on what you’re drinking. 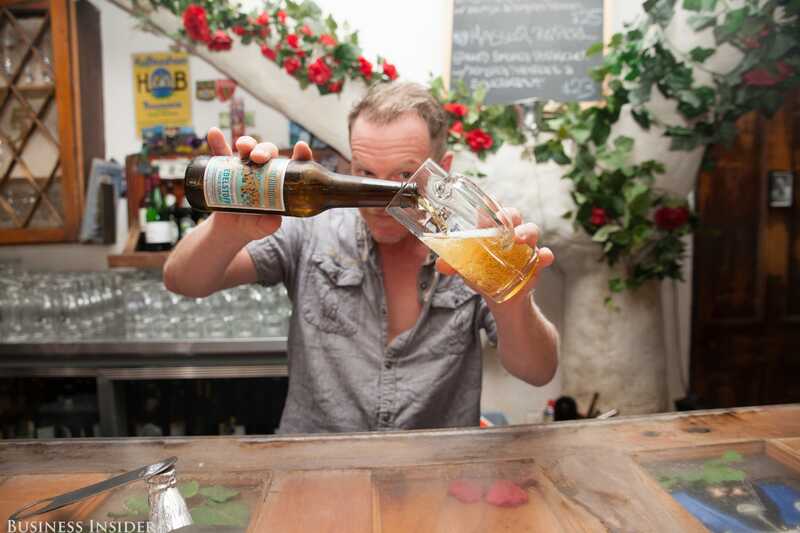 There are three styles of beer: lager, pilsner, and wheat beer (weissbier), and each is poured differently. But in this article, we focus on lager and pilsner because let’s say that these 2 beer styles are mostly available in Thailand market. Hold the glass tilted to a 45 degree angle. Pour the beer relatively quickly, but stop when you’ve poured a little over half of the bottle’s contents into the glass. Let the foam settle for a bit, ideally a minute. Pour a little more, let the foam settle, repeat until the bottle is empty. 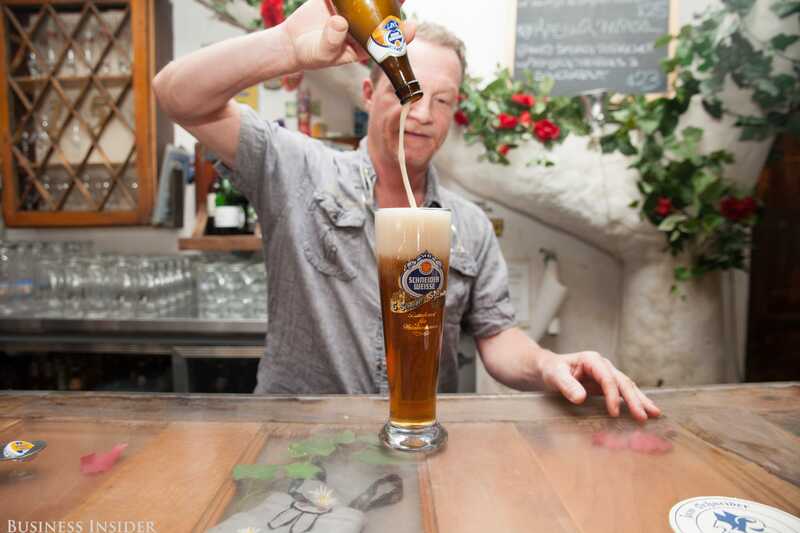 In Germany, local lore has it that a good pilsner takes seven minutes to pour. “Your typical pilsner in Germany is a seven minute pilsner, but that’s from a tap, really” Schneider explains. “You will not findanybody in this country, or this city, who has the patience for a seven minute pilsner.” However, Germany is loosening up. Today, most Germans understand that the seven minute rule is archaic, and will now accept a three minute pilsner to obtain the ideal level of foam and carbonation. Schneider explains that in a weissbier, you basically stick the whole bottle into the glass, but with a lager you only want to put the tip of the bottle into the glass. Unlike wheat beer and pilsner, a lager can be poured relatively quickly because it’s less carbonated. Stick the tip of the bottle into the glass. Pour the beer relatively quickly, and in a fast and steady stream down the side of the glass. Start straightening the glass when it’s about two thirds full to create a nice head of foam. Let the foam settle for a few seconds.